How nice to see so many classic toys being produced like they used to be back in the day. I am talking about solid construction and great design that is going to last longer than five minutes of robust play, with a contemporary twist of course. 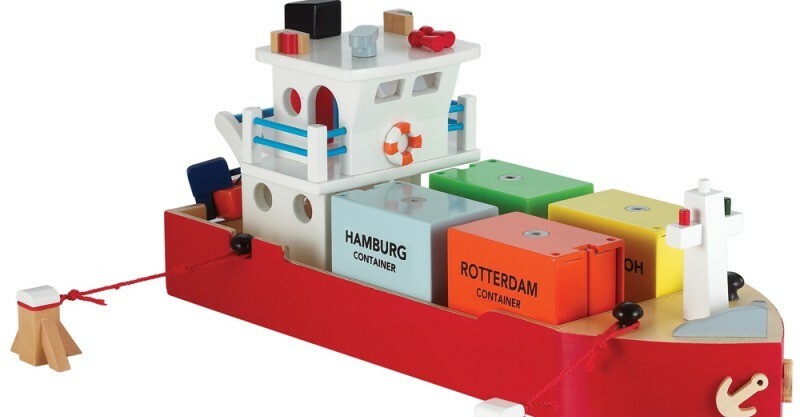 Dutch brand, New Classic Toys, will have aspiring mariners, port captains and wharfies all aflutter with their fully functioning container port. 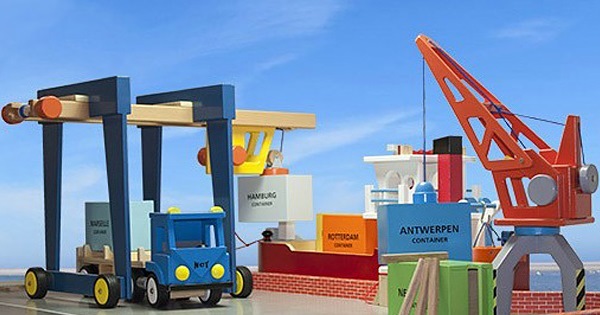 Replete with cranes, ferry boats, lorries, fork lift trucks, containers – everything you need to start a free trade zone right there in your very own home (just don’t forget to tell the ATO). Made from wood, and suitable for children aged 36 months plus, all elements meet the relevant European safety standard. 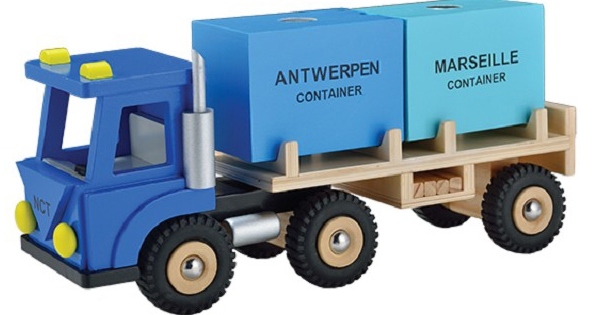 And with small details like magnets on the containers, which means they can really be lifted and loaded. Available locally from Artiwood, you do have to buy all the elements individually, and while they are not especially cheap ($29 – $179), they look like they will last. Just think of the profits from all that trade coming via your living room – made Singapore what it is today. Take a browse through our archives for more wooden toys to love.